or dinner plate, still looking as fresh as the day it was picked. How do Convex MAP Films Work? Each Convex MAP bag or liner is custom designed to match the respiration rate, ethylene sensitivity, and transportation and storage handling of the produce to be packaged. This keeps the packaged produce fresher for longer by delaying the ripening process and reducing ethylene production. Using Convex MAP films in conjunction with quality cultivation, post-harvest handling and well-managed temperature control during storage and shipping will provide you with the best possible life extension results. All our MAP films are HACCP-compliant and are approved for direct contact with fresh fruits and vegetables. 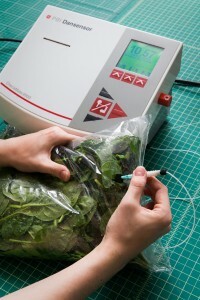 re~fresh films – These films are effective for fresh produce with oxygen transmission rates (OTRs) up to 3000 cc.m² day. re~fresh flower liners – These liners keep fresh cut flowers fresher longer by minimising moisture and petal loss, enabling them to hold their colour and arrive at their destination in prime condition. Opti~fresh – These films provide proven life extension benefits for high respiring fresh cut produce with OTRs as high as 20,000 cc.m² day on almost any type of film. Its high sealability makes it an ideal lidding stock for tray packs, where it can provide a shelf life extension equal to an entire standard modified atmosphere bag by covering just the top surface of the tray. MAP vacuum pouches – These are available in a range of sizes and are ideal for dressed salads, sauces and soups. 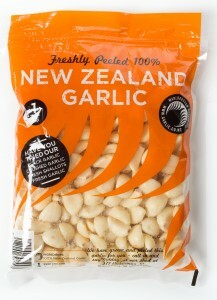 Peakfresh carton and bin liners – Made of low density polyethylene film impregnated with a natural occurring mineral, Peakfresh slows down the natural ageing process of fruit and vegetables by removing ethylene and other harmful gasses. They are especially ideal for transporting bulk and organic produce to markets, or between growing and processing points. Peakfresh reusable home produce bags – Approved for use on Organic foods, these are ideal for keeping your fruit and vegetables fresher for longer in your fridge. Vegetables: Asparagus, broccoli, cauliflower, carrots, stir fry mixes, prepared salads, coleslaws, peeled garlic, soup mixes and beans. Fruit: Blueberries, cherries, mangoes, avocados, Kiwifruit, lemons (whole, peeled, and sliced), oranges (whole, peeled, and sliced) and apples. Flowers: Siam Tulips, Hydrangea, Viburnum, Peonies, Delphinium and Helleborus.